The American Human: The Bedminster Dotard Attacks to Cover His Failings. The Bedminster Dotard Attacks to Cover His Failings. Trump golfed while Puerto Ricans suffered and died. For the Bedminster Dotard, it's all in a day's work. 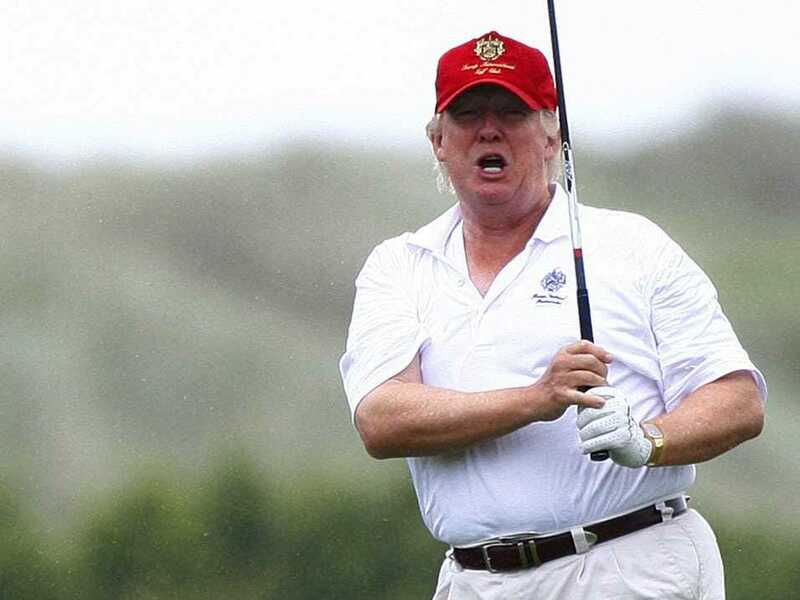 Trump is pictured here golfing for the 23rd time in his first 19 weeks in office. The Bedminster Dotard -- a name I discovered in a comments section in the WaPo -- has a well-worn M.O. Attack to cover up his failings, which beyond mere incompetence includes a stunning lack of empathy. But, oh well, what's a narcissist to do? He was so busy golfing -- and tweeting about NFL players taking a knee -- while Puerto Rico was being devastated that he managed to stall the aid to an American territory. Why? We all know why. But give this a look to see the power of his thin-skinned outrage at being criticized, however obliquely. This is grotesque, and people will die because of his purposeful dysfunction. How long do we survive this? How long must we?